They never saw it coming, but more frustrating for the family of Jeff McKillop is they have no level of confidence they could have changed the outcome even if they realized the depth of his mental state. In the early morning hours of Friday, May 18, Jeff decided he had had enough. He killed himself in his home. The always smiling, highly energetic 31-year-old described his brain as “toxic” in a suicide note he left for his West Lincoln family and friends, which he actually started writing April 28. “The only way I can get peace is to kill it,” quoted Jeff’s mom, Wendy McKillop. Jeff was two years of age at the time. “We tried everything we knew of. He had a great support system with family and lots of friends who loved him but he just kept saying, ‘nobody understands’. Iammarino, who has a PhD in Behavioural Science with a major in clinical hypnosis and practices in St. Catharines, said Wendy’s description is a common denominator. 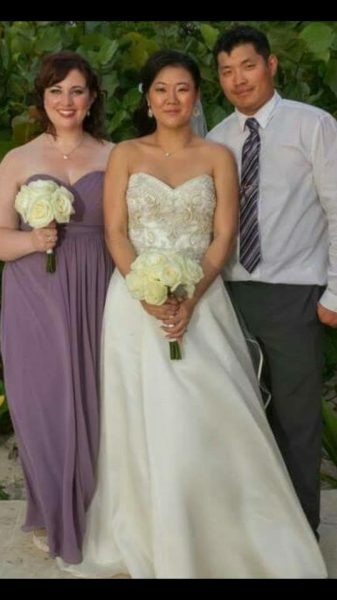 Happier times: Jeff McKillop with his sisters Jennifer and bride Megan on her wedding day, May 14, 2015. “Everything is to please in hopes of finding a sense of worthiness but he was in too much emotional pain,” said Iammarino. 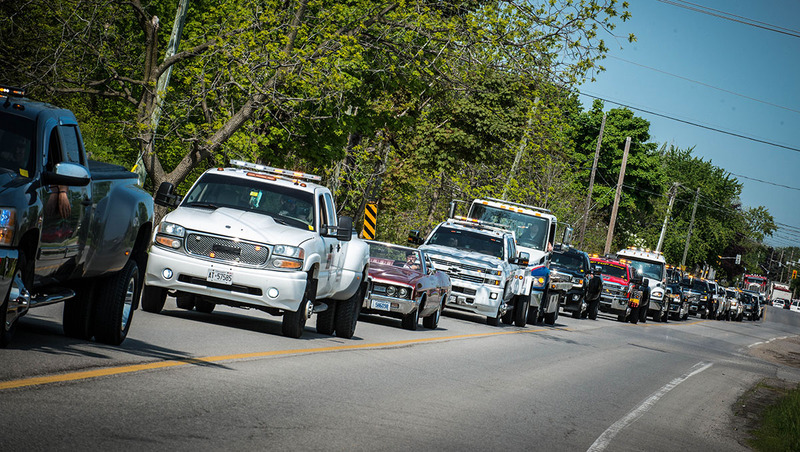 At Jeff’s funeral last week, a massive outpouring of support came from the tow truck industry of which Jeff was a veteran. Comments about how he helped people as well as what a joy he was to work with and around were constant. “They can put on a good show,” said Iammarino. And it was a good show, noted Wendy. “People came up to me at the funeral and said they were just talking to Jeff in the days before his suicide and told me, in great, detail what he had told them about his problems. These were things he never told us,” said Wendy. For Jeff’s sister, Jennifer, this is a signal to all families who have any remotely similar issues: talk and talk and talk some more. “We would tell him we loved him all the time. He had good people around him. He would say he had to leave our place and go home but them complain about how lonely he felt,” said Jenn. Iammarino said it is all about belief systems and, until, the belief systems get adjusted, changing anyone’s depression is impossible. “With Jeff, it sounds like he kept trying until he no longer believed there was anything that could make things improve,” said Iammarino. For the McKillop family now, their goal is raising awareness, eliminating the stigma around depression and mental health issues and making something good come from Jeff’s tragic situation. “One person asked me if we were going to have a funeral for Jeff. We need to get rid of that kind of thinking,” said Wendy. Special ribbons and bumper stickers have already been made up and are circulating with several other items in the works. In June, Iammarino has offered to lead a discussion seminar (date and location to be announced next week) which will be free to all. The McKillops have agreed to attend and share their story, while Iammarino will provide feedback and advice where possible. “This will be my gift to the McKillops: to help with their pain,” said Iammarino. This is a gift the McKillops are definitely willing to accept.